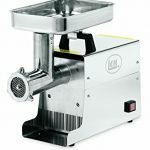 The Sunmile SM-G31 ETL Grinder Max1HP 800W has been designed to offer users professional meat processing. This grinder is of high quality, and it can process up to 150 lbs to allow the users fast meat processing. It is also easy to clean and convenient to operate. Featuring only 7.9 pounds and a size of 19.3 x 10.4 x 8.4 inches, it is highly portable. 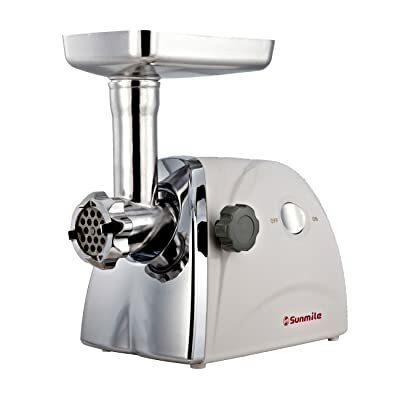 This grinder comes with all the accessories required for instant meat grinding and processing – this include; three types sausage attachments, three different stainless steel cutting plates, a stainless steel cutting blade and a plastic food pusher. 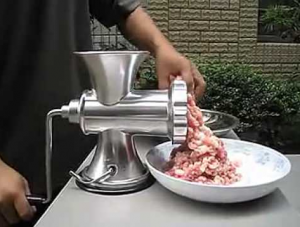 Take your meat grinding to the next level with this cross cutting grinder! 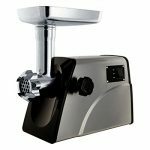 This electrical meat grinder has a durable motor and boasts unwavering operation that allows for long-term use. Other interior components of the SM-G31 ETL are also durable and therefore, you will appreciate their hardwearing nature. It also comes with stainless accessories like cutting plates and knife. It is a lightweight grinder to cater all your movements. 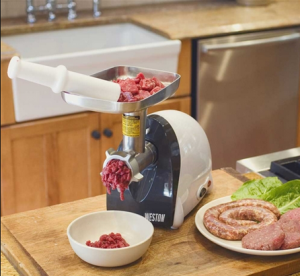 It features 7.9 pounds and thus you can grind meat from any room in your house. 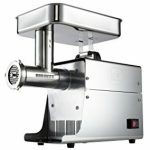 It is also a relatively small grinder that will; not inconvenience you – it measures about 19.3 x 10.4 x 8.4 inches. Therefore, you will not use a lot of muscular energy when moving it from one place to the other. All the other accessories are also light, and you will appreciate their compact nature during the transportation and storage. Some grinders waste your time, and you may even not accomplish your meat processing requirements. However, this grinder offers you fast grind of up to 150 lbs per hour. Although this speed may not be very high as compared to high-end electrical grinders, it is perfect for an affordable grinder like the SM-G31 ETL. The sunmile sm-g31 has only two buttons – off and on. With these buttons, you can get started even without reading the operation manual. It is easy to load small cubes of chopped meat and also simple to collect the grinded meat. It has removable parts that can be cleaned to ensure high levels of hygiene. 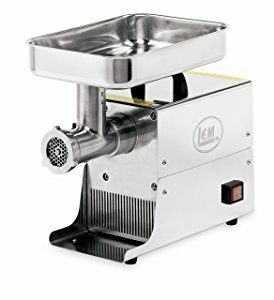 If you use a manual meat grinder, you may hesitate to purchase an electrical grinder due to their high power consumption. If that’s your worry, then here is a solution for you. The SM-G31 ETL is very power efficient and will not affect other electrical machines in your premises. It also features a built in circuit breaker that functions efficiently to prevent any electric faults. 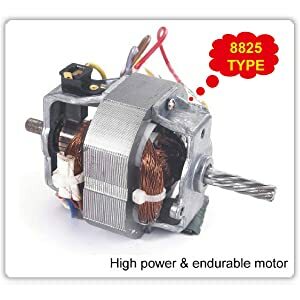 Thus, this grinder assures you efficiency in power consumption and also high levels of safety. This grinder comes with a full set of accessories. These include; three type sausage attachments, three different stainless steel cutting plates, a stainless steel cutting blade, and a plastic food pusher. These accessories ensure you start meat processing immediately. Some electrical meat grinders don’t meet international standards and some cause accidents. The SM-G31 ETL meets various international safety standards like the ISO9001 and the UL standards. These standards ensure that you a peace of mind when processing your meat. 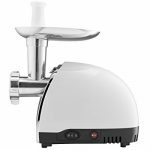 The Sunmile SM-G31 is perfect for both home and commercial kitchen uses since it offers a relatively fast grinding speed. It is a highly portable grinder that weighs only 7.9 pounds and has an adaptable size of 19.3 x 10.4 x 8.4 inches. If you want professional meat processing machine, then the SM-G31 is a choice to consider.